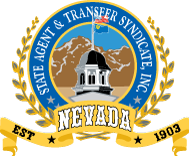 State Agent and Transfer Syndicate, Inc. has been a family-owned and operated business since 1903 forming Corporations, Limited Liability Companies, Limited Partnerships, etc. in Carson City, Nevada. A company incorporating in Nevada without a Nevada address is required to obtain a Registered Agent – per the Nevada Revised Statute (NRS). State Agent understands this. This is what we do and what we do best. Welcome to our website! We invite you to explore the contents of our site and call us with any questions that remain unanswered. It will be our pleasure to take care of the filing of your business documents and to assist in the support and viable maintenance of your business over the years of its existence. Whether you need to form a corporation, LLCs or LPs in the state of Nevada, we are here to serve you. Getting state residency can seem like a complicated process. Let us help you understand it.